According to two analysts as they have said to Reuters, Asustek the Taiwanese company has lowered second quarter revenue forecast to 0-5 percent for quarter to quarter growth from 5-10 percent, as it was forecasted earlier. The analysts also noted that this attributing is for the delay of the launch of the new Nexus 7 tablets which is also co-branded with Google. This news has also brought down the shares of Asustek by 4.26 percent lower. 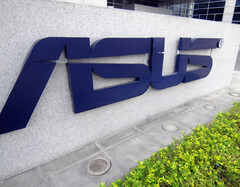 Nick Wu an investor relations spokesman of Asustek also mentioned that part of the revenue this quarter will be booked one quarter later as the much awaited device is delayed with its launch. Apart from this comment he declined to confirm any other information. The Nexus 7, tablet is already being introduced by Google, on Wednesday in the US, which is being cobranded and built by Asustek. According to Google the tablet might be in the market by mid of July and will be priced at $199. With this device Google is hoping to get a good sale in the market and will be able to compete with the Amazon’s Kindle Fire Tablets.